Lamps There are 44 products. Medievalde forging streetlight 1 6-sided light. 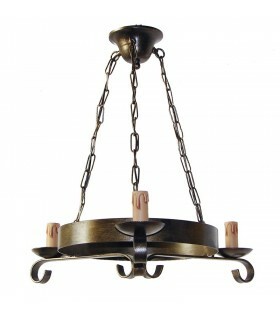 Made by hand in forging hanging chain. It includes crystals. 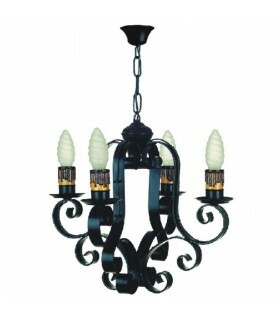 Ideal for medieval and period decorations. The bulb is not included. 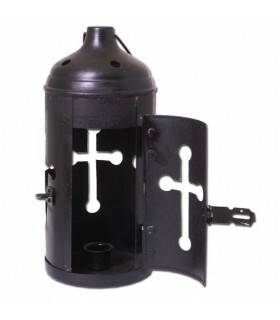 Medieval forges lamp with 6 torches. Made by hand in forging chains hanging. 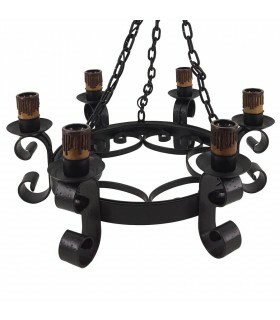 Ideal for medieval and period decorations. The bulbs are not included. 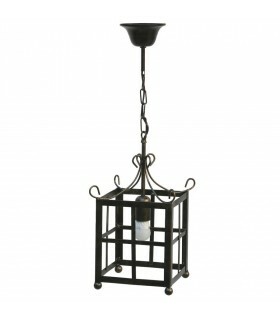 Medieval forges lamp with 6 lights. 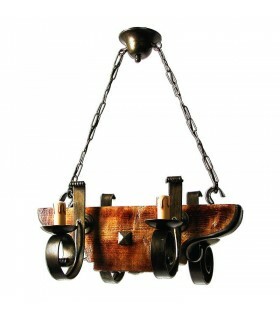 Made by hand in forging chains hanging. 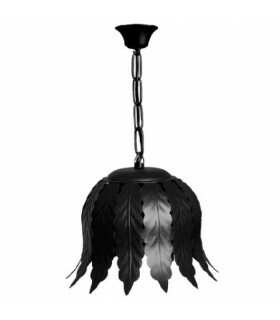 Ideal for medieval and period decorations. The bulbs are not included. 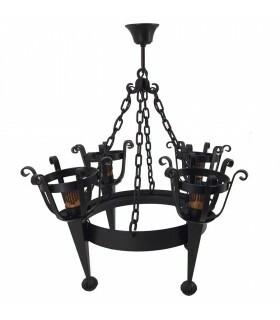 Lamp medieval forges with 4 torches. Made by hand in forging chains hanging. 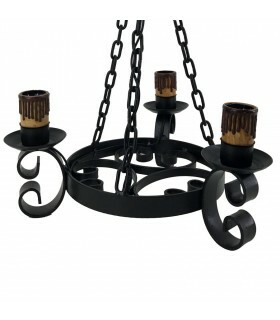 Ideal for medieval and period decorations. The bulbs are not included. Lamppost medieval forges with curls. With 1 light. 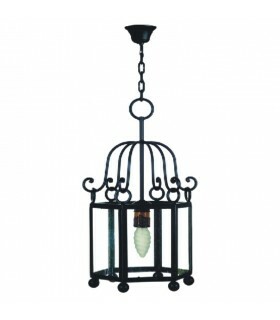 Made by hand in forging hanging chain. 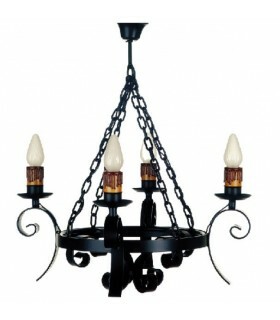 Ideal for medieval and period decorations. The bulb is not included. 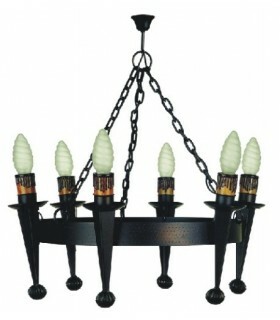 4 lamp bulbs made by hand in forging hanging chain. 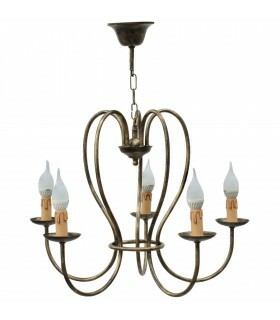 Ideal for medieval and period decorations. The bulbs are not included. 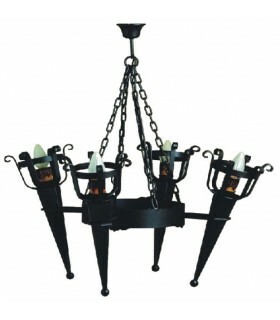 4 medieval lamp bulbs made by hand in forging chains hanging. 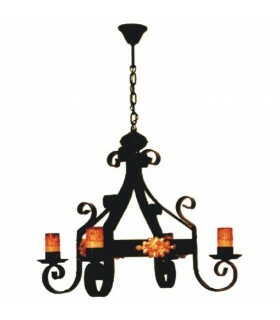 Ideal for medieval and period decorations. The bulbs are not included. Lamppost medieval forges sheet. With 1 light. 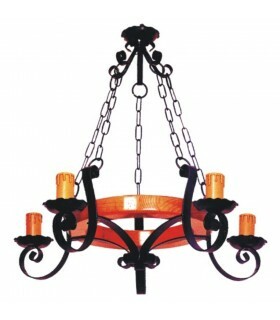 Made by hand in forging hanging chain. 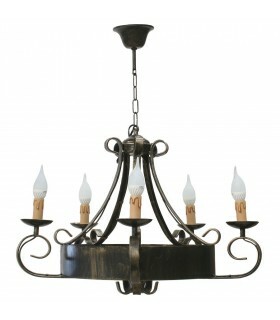 Ideal for medieval and period decorations. The bulb is not included. 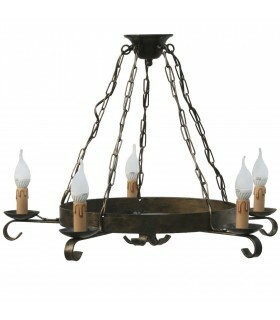 medieval wrought iron lamp with 12 lights made by hand with hanging chains. 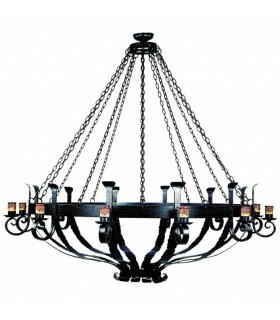 Ideal for decorations and medieval castles time or large halls. The bulbs are not included. 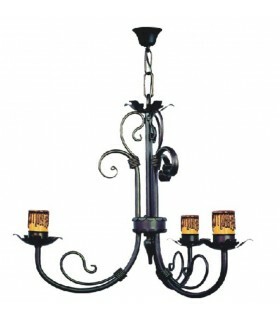 medieval wrought iron lamp with 18 lights (12 + 6). 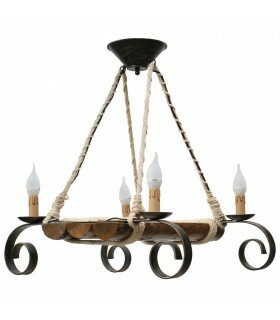 Made by hand with hanging chains. 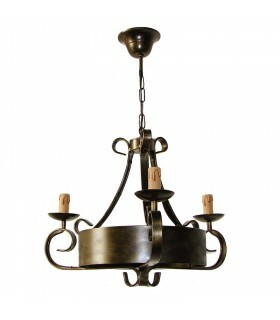 Ideal for medieval castles and period for large halls or decorations. The bulbs are not included. 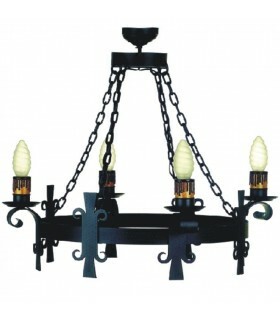 medieval wrought iron lamp with 10 lights made by hand with hanging chains. 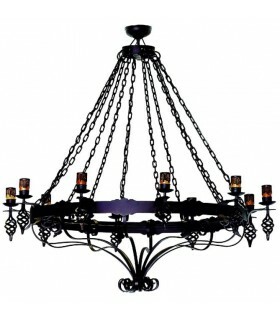 Ideal for decorations and medieval castles time or large halls. The bulbs are not included. 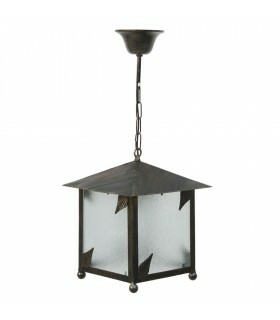 Lamppost medieval forges 6-sided with 3 lights. 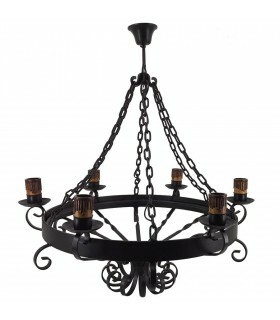 Made by hand in forging hanging chain. It includes crystals. 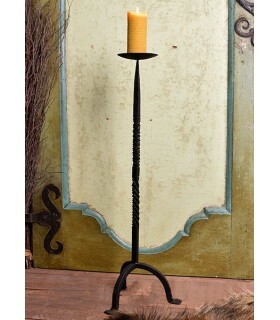 Ideal for medieval and period decorations. The bulb is not included. 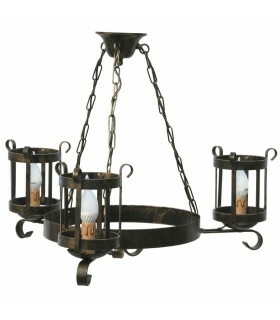 Medieval forge lamp with 3 lights. Handcrafted forging with hanging chains. 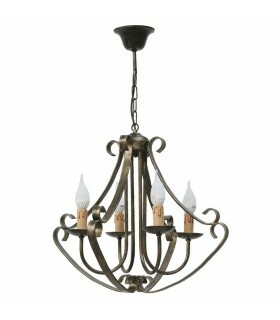 Ideal for medieval and period decorations. Bulbs are NOT included. 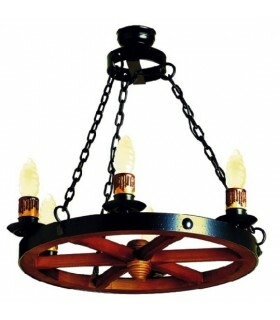 Forged lamp medieval wooden wheel with 3 or 5 lights made by hand with hanging chains. 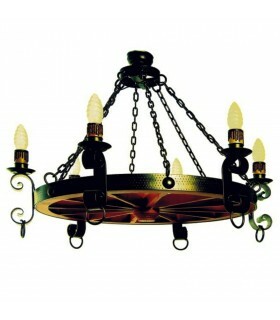 Ideal for medieval and period decorations in castles or large halls. The bulbs are NOT included. 3 lights: 65x40 cms.5 lights: 65x65 cms. 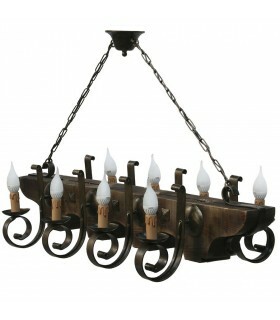 Octopus medieval forge lamp with 4 or 6 lights manufactured by hand. 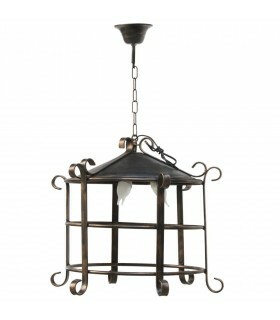 Ideal for medieval and period decorations in castles or large halls. The bulbs are NOT included. 4 lights: 97x48 cms.6 lights: 97x68 cms. 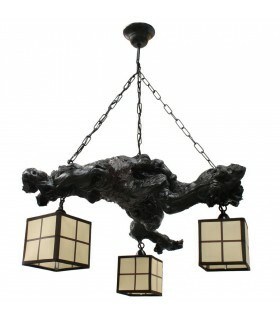 Lamp medieval forge with 4 lights made by hand with hanging chain. 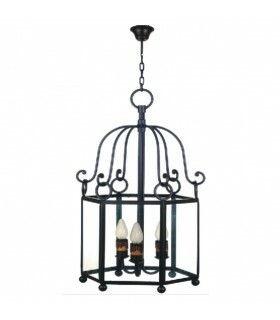 Ideal for medieval and period decorations in castles or large halls. The bulbs are NOT included. 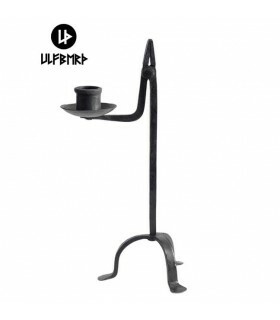 Hooks lamp made by hand in forging. 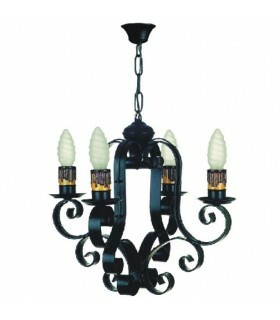 Ideal for medieval and period decorations. The bulbs are NOT included. 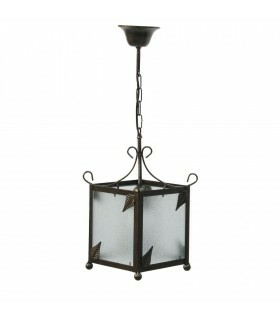 3 lights: 81x58 cms.4 lights: 81x58 cms.5 lights: 89x72 cms.6 lights: 89x72 cms. 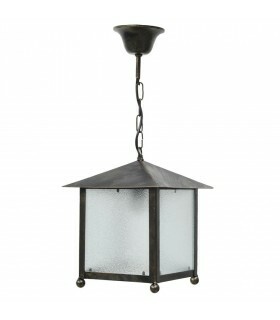 During the Middle Ages the forged lamps were used in the churches and monasteries. The light was made by wicks. 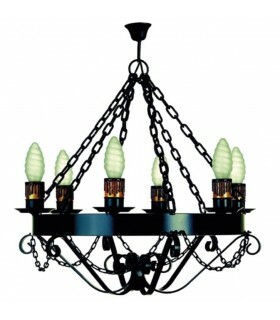 In the nobles' houses and castles, there were pendant lamps with a lot of lights. 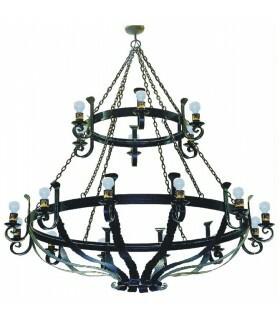 In the Gothic Ages, XV and XVI centuries, the lamps were made with bronze or iron branches with a lot of ornaments. 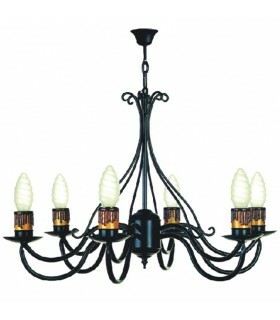 In the XVIII century the "spider" lamps were very common. They were made with pendant crystals, some of those coming straight from precious rocks. It's usually used in rustic or medieval spaces. 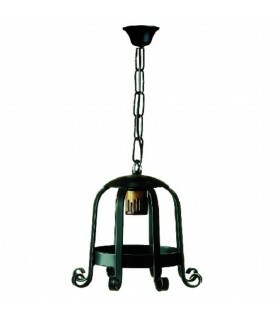 It's very common to see these laps in rustic or mountain houses, or any other place with medieval decoration. There aren't so many blacksmiths working the wrought iron, because it requires skills, abilities but also a perfect tecnique. 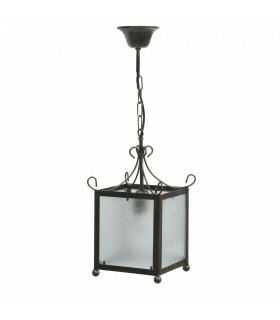 We have a huge catalog of forged lamps, with different sizes. The lamps come with the cables and they're ready to plug to the electricity. For any question, we're ready to help.